Late last week, we shared news about AT&T’s consternation over Sprint and T-Mobile rolling forward with Wi-Fi calling despite not receiving a waiver from the FCC. At the heart of the issue is compatibility of non-hearing customers that use “text telephony” (teletypwriters), which does not reliably work on Wi-Fi based communications. AT&T had been waiting for a response to a request to implement Wi-Fi calling in support of an alternative protocol for the deaf, called RTT (real-time text), which is under development. 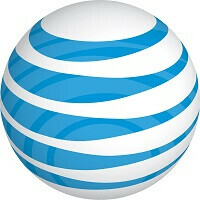 AT&T had been planning to launch Wi-Fi calling in September, but the nod from the FCC was not forthcoming, pushing the carrier’s plans back to some undetermined time. Yesterday, the FCC gave AT&T the needed waiver so that it does not have to guarantee TTY transmissions over Wi-Fi calls. According to the FCC, there are “major technical barriers” that get in the way of reliable transmissions of TTY over IP networks. This is as much a limitation of TTY which was invented in the 1960s. However, current regulations require that phone companies and wireless carriers support TTY, hence the need for a waiver. Awesome! However it'll probably only be rolled out to stupid iPhones. I highly doubt it'll work with the Nexus 6P I'm planning on getting. I sure hope so, go cricketnation. I will never stop hating att even after i left them.and here they prove they are nasty beside been a complete rip-off company. Had it on TMO for a while now. Nice back up they give you. If wifi is around you can call from anywhere. Gotta love that. Got that on Three Mobile about a year ago but doesn't work on rooted phones so have to do without. Actually scratch that I just installed again and it does now work with root.